Skip the straw when you order your nutritious green smoothie or even better, bring your own reusable to go cup so you’re being good to yourself and the environment. The 10 health conscious restaurants and cafes on this list serve a wide array of smoothies including green options, fresh fruit flavors, and protein packed drinks to ensure your body gets all the nutrients it needs. More than just smoothies, these ten spots also serve healthy light meals, tea, juices, and more. Healthy on Lark is a vegetarian, vegan, and smoothie spot that does its best to source local organic produce. In the restaurant, you’ll find fresh pressed juices and smoothies. Smoothies on the menu incorporate nut butters and milks for healthy protein, and a delicious option for pick me up is the Lark Buzz, which is made with organic coffee, almond milk, banana, cinnamon, and raw cacao. Additionally, Healthy on Lark offers make your own smoothies, where you can select your base, add two fruits, and throw in some extras. Kid sizes are also available. bee-Organic is a very cool spot for any eco-warriors out there, as the café is actually a mix of eatery and boutique. While you wait for your smoothie and sandwich to be prepared, be sure to browse through their selection of handmade skincare, accessories, and home décor. On the menu, you’ll find a selection of ten smoothies all with the possibility to customize slightly with an extra boost, shot, or add-in. The bright, colorful interior of Original Grain matches the crisp, healthy, locally sourced food available on their menu. Expect to find gorgeous bowls, toast, nori wraps, and sandwiches on the menu. Smoothies are all made with a base of coconut milk and yogurt, and they are made vegan and gluten free. If you’re feeling under the weather, the antioxidant boost, made with acai, blueberries, blackberries, and banana, will certainly do the trick. Liquiteria offers healthy options for those looking to boost their intake of fresh fruits, veggies, and superfoods. Smoothie options are plentiful, with 11 flavorful, colorful flavors including Blue Velvet, which is made with acai, blueberries, vanilla whey protein, coconut butter, coconut sugar, almond butter, and vanilla almond milk. Several boosters are also available to add into any smoothie for an extra shot of healthy goodness. The menu at Liquiteria also features smoothie bowls in an array of flavors. Taim is a flavorful spot for those seeking a healthy, quick meal during their lunch break or for a quick dinner after a long day. The flavorful options on the menu include falafels served in pitas or as platters as well as salads. 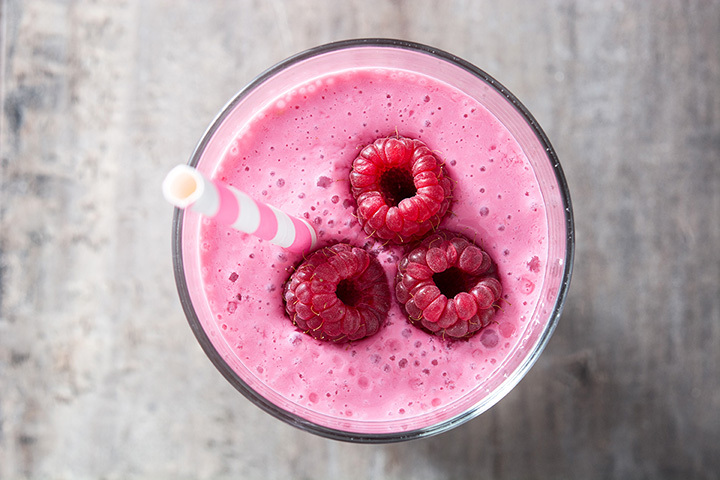 Smoothies are a great accompaniment to meals, and options on the menu include date lime banana, strawberry raspberry Thai basil, and kale apple ginger banana. With the convenience of online and place ahead orders, Green Symphony is a great go-to for a busy day. In addition to vitamin and mineral packed breakfast and lunch dishes, Green Symphony also offers non-dairy smoothies and specialty smoothies at reasonable price points. The Almond Joy Smoothie is healthy but tastes indulgent with organic almond butter, banana, almond milk, and coconut. Get smoothies delivered to your door or dorm with an order placed at Unique Tea House. This local spot offers three smoothie sizes in an array of awesome flavors. Taste test their lychee smoothie, opt for a bit of caffeine with their green tea smoothie, or have something a bit different with their mung bean smoothie. Teas, juices, yogurt drinks, a tapioca drinks are also available on the menu. Long Island Smoothie Café has so many different smoothies available that they have three separate menus just to fit in all the options. For something sweet and reminiscent of childhood summers, the Creamsicle is a fun option, made with oranges, non-fat yogurt, and vanilla frappe. For a drink packed with protein, consider ordering the Nutty Explosion consisting of peanut butter, whey protein, bananas, and non-fat yogurt. A perfect accompaniment to one of their fresh avocado and cheddar sandwiches is one of ten fruit smoothies available at Nice N Natural. Those looking for a health boosting green smoothie will find the Green Energy smoothie, which is made with apple, kale, mango, and spinach. Another smoothie option that will cool you down on a hot day is the Pink Lady, consisting of pineapple, apple, strawberry, and pomegranate. All healthy liquid drinks are available at Juicy Cube including smoothies, vegetable juices, and bubble teas that are made using locally sourced organic produce. Smoothie customizations are available and each drink is made to order. For a super healthy punch, order a superfood smoothie such as the Green Queen, which is made with kale, spinach, organic acai, organic date, banana, organic almond milk, and almond butter. Smoothie bowls like acai bowls topped with bananas, blueberries, grains, and seeds are also available on the menu.